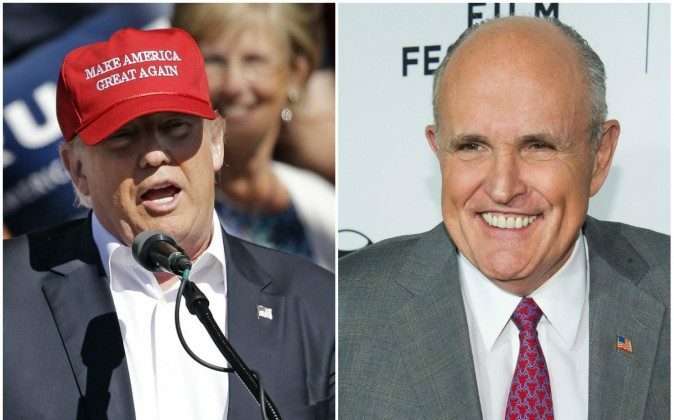 Rudy Giuliani, the former mayor of New York City, said following Monday night’s presidential debate between Donald Trump and Hillary Clinton, he would recommend that Trump stay away from the second and third debates. Trump said Holt was “fine” immediately after the debate, which may have drawn as many as 100 million viewers across different platforms. “Stop-and-frisk is completely constitutional and the American people have been given the false impression that it isn’t,” Giuliani added. The stop-question-and-frisk program, known as stop-and-frisk, is a practice carried out by the New York City Police Department allowing officers to stop a pedestrian, question them, and then frisk them for weapons or other contraband. “Stop-and-frisk is being done tonight all over America,” Giuliani said, according to the Daily Caller. “It is perfectly constitutional. It is still good law. It is still constitutional law. And Lester Holt should be ashamed of himself for interfering. He doesn’t know the law. I know she [Clinton] doesn’t know the law because she failed the bar exam, but he should stop pretending he’s a lawyer,” he continued. As NBC News reported, Trump said he was committed in partaking in the second debate, scheduled for Oct. 9.